So if you follow me on Instagram you will know that a few weeks ago I was very very happy with Primark. 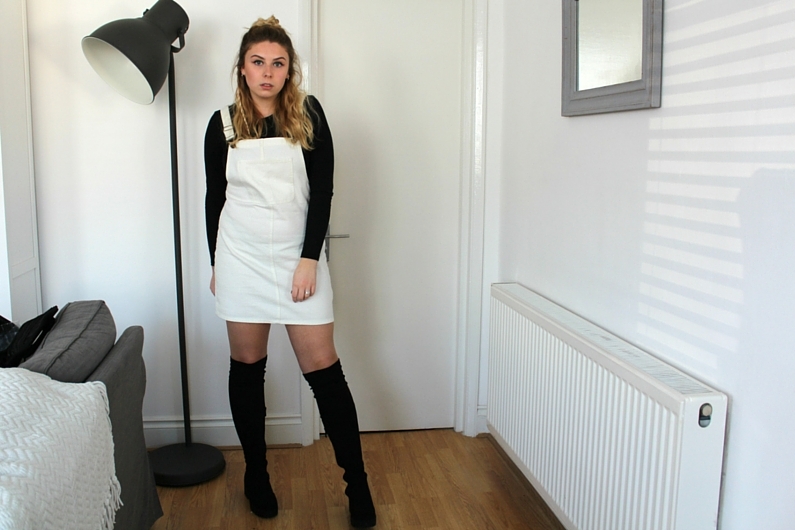 I went in not really looking for anything and came out with some bits that I love.. one of which was this white pinafore dress. I do love a pinafore and I was really upset a little while ago that I couldn't get a white one Urban Outfitters had in their sale but woop now I have one and it was even cheaper than the sale one! I do feel slightly like painter in this but then at the same time very 60s. I feel like all I need is some bold white eyeliner and a bit of backcombing the hair and I would have a fancy dress outfit sorted ha! But I like it so embracing the painter/60s vibes anyway! I feel like a white dress just looks so much better in the summer, so tights and this outfit wouldn't be right. Lucky for me the weather at the moment isn't all that bad so no tights is bearable - just a tad chilly. So to give me some kind of warmth I whipped out my trusty thigh highs from Public Desire (seriously love these boots). My initial thought was to team this up with my black turtle neck but I have been living and dying in turtle necks at the moment so thought maybe its time to mix things up a bit, sooo instead I went for a simple ripped crop top from Topshop that I got about a year ago (pretty sure they are still available though). 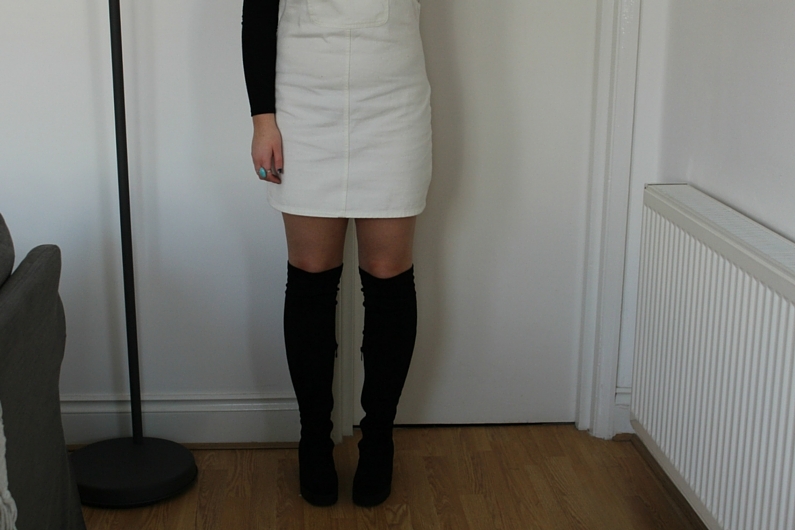 I do love a monochrome look but was thinking about what I could wear with this for a splash of colour - any ideas?